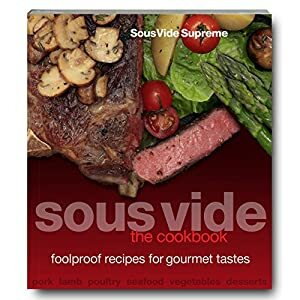 【SOUS VIDE COOKING ESSENTIALS KIT】 – Easy To Start Using The Sous Vide Method. 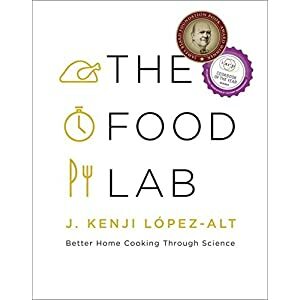 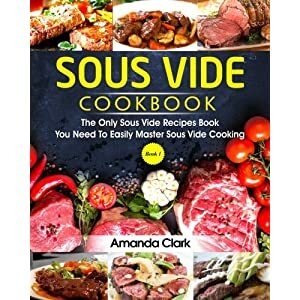 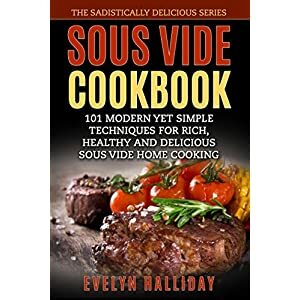 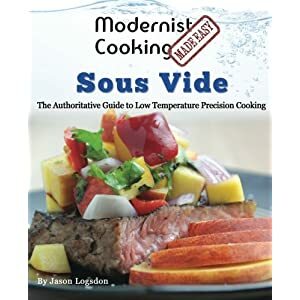 Compatible With Anova Culinary, Instant Pot, Immersion Circulator, Precision Cooker, Supreme Water Oven, Slow Cooker, Nomiku, Sansaire, Polyscience And All Of Your Sous Vide Cookers At Home. 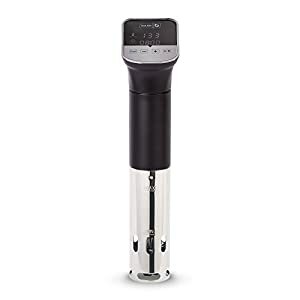 Includes 1 Hand Pump, 10 Sous Vide Vacuum Sealed Bags, 4 Secure Clips And 2 Bag Sealing Clips, And A FREE Gift: 1 Wine Bottle Stopper. 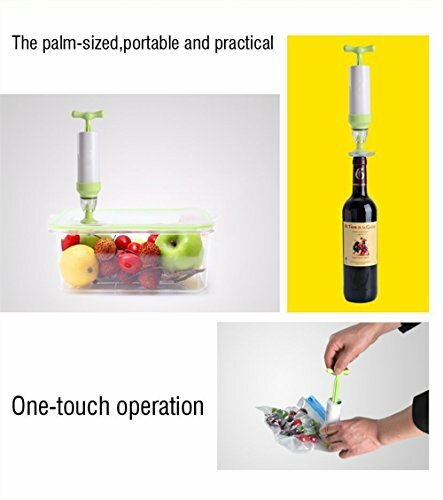 【FOOD SAVER AND REUSABLE VACUUM SEALER】 – Vacuum Packing and Seal Meat, Vegetables, Snacks, Cereal, And Fruit Etc. 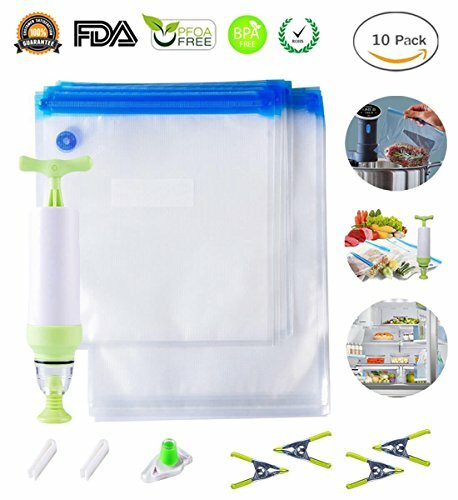 To Keep Them Fresh Longer. 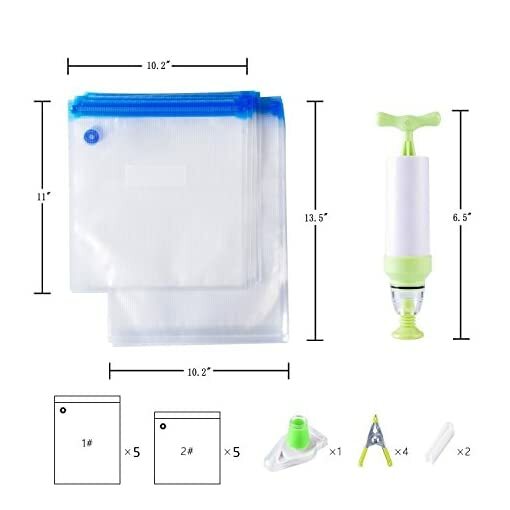 It Is Suitable For All Kinds Of Solid Or Semi Solid Food.The Reinforced Double Zipper Can Be Reusable Up To Countless Times And Ensures An Airtight Seal, Keep Your Food Fresh 7 Times Longer Than Other Traditional Food Storage Methods. 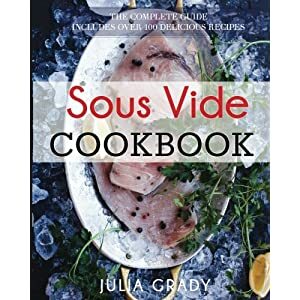 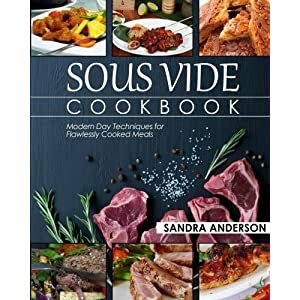 【FAMILY GIFT AND 100% SATISFACTION】 – Gifts for Family and Friends, Refund Guarantee With SOUS VIDE COOKING KIT For Any Dissatisfied Reasons, Order Without Worries! 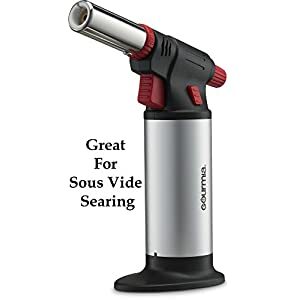 Warranty & Further Services. 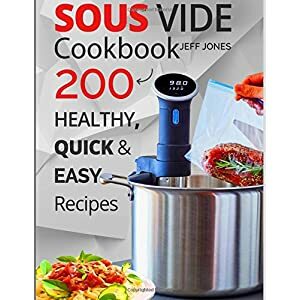 【COOK SAFE AND EXCELLENT QUALITY】 – Vacuum Sealed Bags Are BPA Free, FDA Approved, Food Safe Material, Freezer Safe, Microwave Safe, Cook Safe(Sous Vide / Water Cooking), EXCELLENT QUALITY, You Can Not Tear It At All! 【SAVE MONEY AND FRIDGE ORGANIZER】 – Economical and Excellent, Takes Just A Few Seconds To Vacuum Seal The REUSABLE Bag Without The Need For Expensive Vacuum Machine And Start Cooking Or Storing, Easy Organization For Your Refrigerator, Freezer, Pantry And Countertop, Each Bag Has A Label For Writing Down Food Storing And Expiry Dates; Not Only Can Be Used At Kitchen / Pantry Organizer But Also Be Taken To Anywhere, Such As, Outdoor Camping, Fishing, Picnic,Etc.